Tackling the most recent Ebola outbreak has been an international effort. The Department for International Development (DFID) is leading the UK response to the crisis in Sierra Leone, working with a range of other departments to fight the virus abroad and on home soil. Jennie Barugh, Head of the Ebola Crisis Unit at DFID explains why cross-departmental collaboration is crucial in stopping the spread of the disease. This current outbreak of Ebola is entirely unprecedented. In September 2014 the World Health Organization (WHO) reported that, of almost 5,000 people infected by the virus, about 2,500 had died. The virus was spreading exponentially; half of all cases had been recorded in just the previous three weeks. The international effort had to mobilise quickly to avert a disaster with the potential to affect many countries. The UK has led the international Ebola response in Sierra Leone, a country with historic ties to Britain and where we have an existing bilateral development assistance programme (the US has led the response in Liberia, and France in Guinea). The Department for International Development (DFID) is leading the UK response to Ebola in Sierra Leone. DFID began funding hygiene and sanitation activities from April, followed by surveillance and community mobilisation in July. When it was clear this was an unprecedented outbreak, DFID led a huge government effort to scale up the response. Ten Whitehall departments, as well as four arms-length bodies, became involved, with the Prime Minister and Foreign Secretary chairing at least 16 ministerial COBRs. Civil and public servants across the UK and internationally have been working in partnership as one team to provide significant and urgent support – a prime example of One HMG Overseas in action. In addition to a surge of DFID staff working on the response in Freetown & London, over 800 British military personnel arrived in Sierra Leone to provide command and control, logistic and medical support. Public Health England (PHE) offered clinical expertise and prepared to staff the labs needed to increase the testing capacity of the country. UK-Med, who run the International Emergency Medical Register, led a massive recruitment drive, working with DFID, NHS England, the Department of Health (DH) and NHS Trusts to encourage NHS staff to join the response. The Foreign and Commonwealth Office (FCO) and DFID encouraged countries from around the world to join the response. Australia, New Zealand, Canada, the Republic of Ireland, the Republic of Korea, Norway, Denmark and Cuba all sent healthcare workers or military personnel to work at the UK-built treatment centres, whilst Estonia and the Netherlands sent vital supplies. Working with non- governmental organisations has also been key, for example, the UK is working through SMAC – the Social Mobilisation Action Consortium (GOAL, CDC, Restless Development, BBC Media Action, Focus 1000), providing over £3million for the community-based ‘Action Against Ebola’ project. This approach is about promoting prevention, safe burials, reintegration of survivors back into communities, and awareness of Ebola through accurate media coverage. With DFID working closely with the Government of Sierra Leone to set strategy and policy direction, the immediate approach to stemming the crisis there focused on faster diagnosis and isolation of Ebola cases, quickly increasing the number of treatment beds, supporting burial teams and an intensive effort to mobilise communities and change behaviour to reduce transmission. Coordinating this effort is a command and control structure at national and district levels set up with DFID and military help. Over 175 NHS clinicians to work in Sierra Leone on the frontline caring for the sick in highly challenging conditions with over 1,600 NHS staff volunteering since October. Over one million PPE suits and 150 vehicles to be supplied to Sierra Leone. 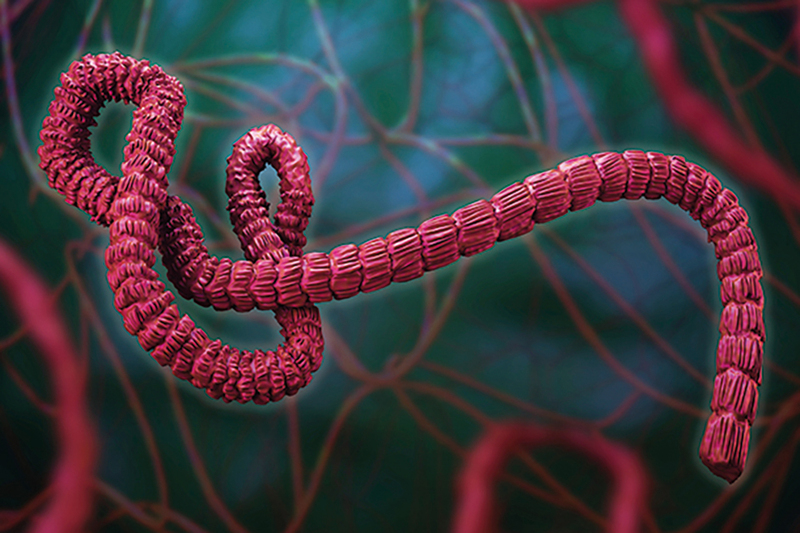 Ebola is a rare viral haemorrhagic fever. In the early stages the symptoms can be similar to those of more common infections like malaria; such as fever, intense weakness, muscle pain, headache and sore throat. Its incubation period ranges from 2 to 21 days. Whilst a handful of cases are expected in the UK, Chief Medical Officer Dame Sally Davies has said she is confident that the NHS and wider health protection system is very well prepared for this. People travelling to the UK from the affected countries continue to be screened before they depart and on arrival in the UK, and told who to contact if they develop any symptoms. DH, PHE and NHS England have worked across the health service to ensure healthcare staff have the training and equipment they need to respond to an outbreak in the UK, and to reassure the public that the UK has well-developed and well-tested systems for managing infectious diseases such as Ebola. The UK led Europe in implementing proactive screening measures at four major airports and the Eurostar train terminal at London St Pancras, together with risk- based screening for shipping. PHE worked closely with the Department for Transport and transport operators to put these measures in place quickly and efficiently at short notice, a training and recruitment exercise was arranged, and Home Office and Border Force officials devised a system to identify direct- ticketed passengers from the affected countries so that they could be referred for screening. The Cabinet Office coordinated work with departments and the devolved administrations to ensure common understanding of processes and protocols in the event of a first positive case of Ebola in the UK. A four-nations training exercise focused on a fictitious case in Scotland, just two weeks before the first UK diagnosed case actually occurred there. The Department for Communities and Local Government acted as the key coordinating body to ensure local authorities and others had contingency plans prepared. At the same time, communications teams across all departments reassured domestic and overseas audiences, often using innovative digital techniques (such as the Medics Behind the Mask campaign). They also supported multiple media outlets to visit Sierra Leone, providing story ideas and briefing to ensure the British public were kept informed. The UK is driving international action to accelerate the development and testing of Ebola vaccines. HMG has co-funded early clinical trials of some of the possible vaccines, working with partners, including the Wellcome Trust, Oxford University and the Medical Research Council; and is working closely with the US Centers for Disease Control and Prevention to support trials in West Africa amongst at-risk populations. The PHE laboratories in Sierra Leone testing blood samples from possible Ebola patients, also provide facilities for vital field research into Ebola. It is clear this strategy is working and that the infection rate is falling in Sierra Leone. This is real progress and cause for cautious optimism that this disease can be beaten. But there is no room for complacency and efforts continue to eliminate the virus from the Region. The road to elimination will be bumpy, with small, localised uplifts in infection that will need to be swiftly and firmly addressed. Until this outbreak is completely defeated there is always the potential for the infection rate to rise again. should empower the WHO to coordinate the international response, work closely with partner nations from across the world to respond to outbreaks, and be prepared, as we have done with Ebola, to send our healthcare workers to the epicentre of the outbreak, so they can tackle it at source, where they will have most impact. The Executive Board agreed that the WHO should put in place rapid response teams that can be deployed quickly anywhere in the world to tackle outbreaks as soon as they begin (PHE, DFID and DH are already working together on the UK’s role and contribution). Further, in recognition of the bravery of those from the UK who are delivering the humanitarian response to Ebola, the Prime Minister intends to recommend to Her Majesty the Queen, through the Honours and Decorations Committee, a new medal to pay tribute to their efforts.